The Storm is one of your biggest enemies in Fortnite. Read our tips and tricks guide to surviving the Storm, which includes storm damage, shrink time per phase and more. What Is The Storm Eye? What Are The Storm Characteristics? 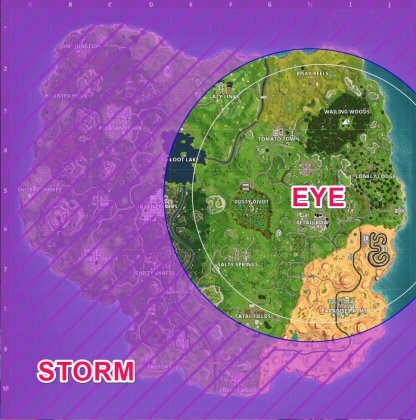 The Storm Eye is both your friend and your enemy in Fortnite. It offers you a safe space where you won't get damaged by the Storm, but also makes you find and engage enemies more often. Check Out Basics For Beginners! Below is a table showing the Storm's damage per phase, also included are shrink times, and times before shrinking. 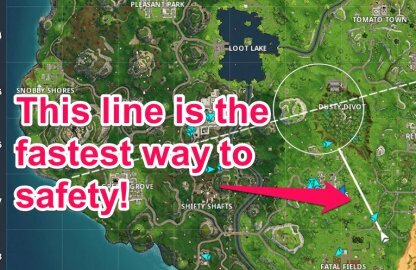 Keep this in mind when trying to survive the Storm! Values for LTMs are not the same as those of the regular game modes as these are highly dependent on the mechanics of the game mode. For example, Steady Storm has no pre-shrink time at all! The Storm continually damages your health until you get yourself to safety. 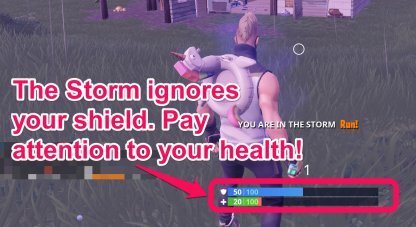 The Storm ignores your shield and directly damages your health, so get out of there as soon as you can! The Storm's damage to your health in the late game is higher than the Storm's damage in the early game. Remember that the early game is more forgiving than the late game! 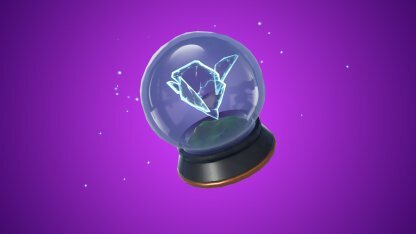 In Season 5, the Storm's Eye will move in random directions starting from the 7th until the 9th shrink. There is a possibility that it will even move into the storm itself! The Storm Eye will move further away from the current Eye on it's final stage. As of the v5.40 update, the edge of the Storm will now damage Player-made structures during its final phase. This means less hiding spots, and more fights! Check Out The v5.40 Update Here! 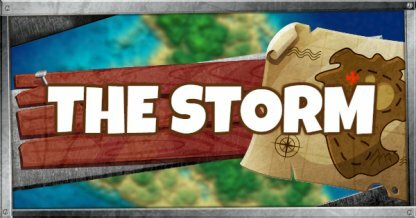 Now that you know the Storm's characteristics, here are some tips that can help you escape and survive it! When a new Eye forms, checking your map will display the location of the new Eye. The line from you to the Eye represents the fastest way to get to safety so better walk the line! Check Out Season 5 Map & Locations Here! 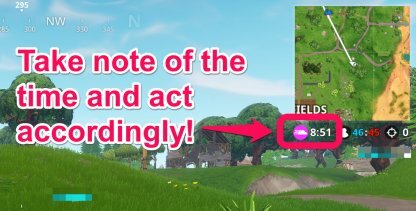 Make it a habit to keep track of the time when playing Fortnite. This will help you gauge if you still have time to explore, or if it's time to run! All Terrain Karts, and Shopping Carts can help you outrun the Storm. Be on the lookout for these when you are running to safety to get to the Eye faster! 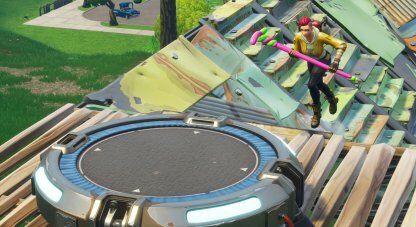 Using the Launch Pad activates your Glider which you can use to move faster across the map and away from the storm. Make your Glider last longer by putting the launch pad on higher ground! When running from the Storm, you might run into a Rift. Step through these so you can glide away from danger faster! When the Storm is at your heels, give this a shake to create a Rift for a quick escape. This method is an all-else-fails solution. Having lots of healing items and continually healing yourself can help you survive in the Storm longer! Remember this when you still have a ways to go!